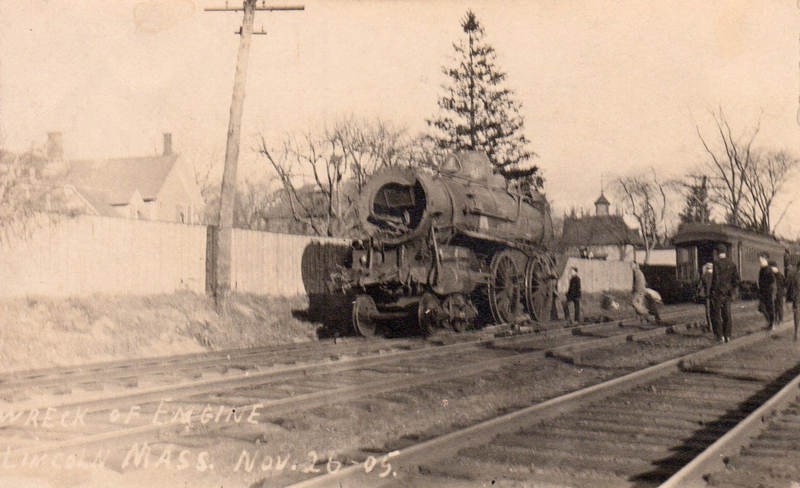 Trains collided at Baker Bridge in Lincoln on the Boston & Maine Railroad on November 26, 1905. Several Maynard people on the train from Boston. 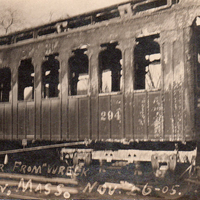 Miss May Campbell was killed. 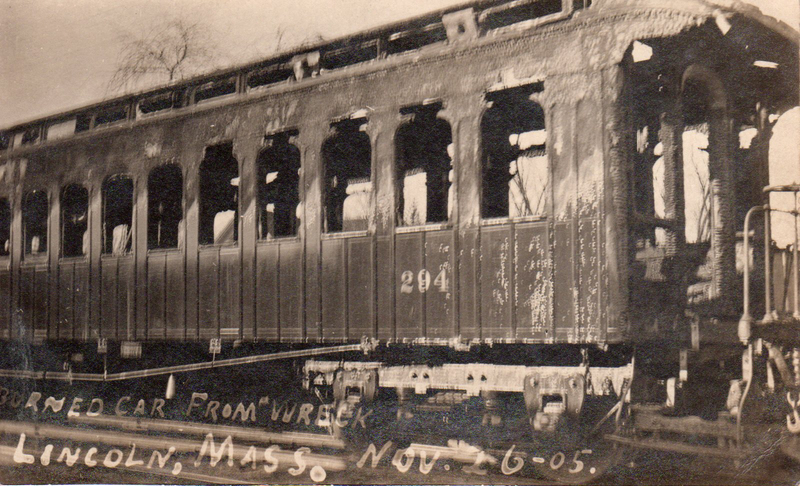 Others seriously injured - Mr. and Mrs. Albert Batley, Harvey Broadbent and Matthew Campbell. 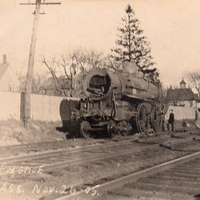 “Boston & Maine Railroad Train Wreck at Baker Bridge - 1905 Lincoln, Massachusetts,” Maynard Historical Society Archives, accessed April 24, 2019, http://collection.maynardhistory.org/items/show/407.